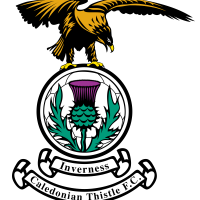 ICTFC failed to take advantage against ten man Ayr United, as it ended in a goal-less draw during the Caley Jags’ first home game of the domestic season. It was a day of mixed feelings. The game was in dedication to recently passed away, Alan Hercher, a legend of the club having led ICTFC as their first captain, post formation. The match was also notable due to the fact that Aaron Doran made his 200th appearance, who came on in the second half in an attempt to create a chance for the team. The two sides hadn’t met in the league since 2010, in ICT’s crowning 7-0 away win, shortly after picking up their promotion to the Scottish Premier League. 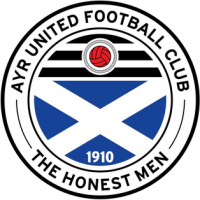 But this Ayr side was a completely different challenge, having won their last five games in all competitions. From the kick-off, it didn’t take long for ICT to fashion an attempt on goal, with a curling right footed shot from Walsh. The attempt just missing the far corner at the second minute.The first booking of the game followed several minutes later with Daniel Harvie catching Shaun Rooney late – and that mistake came back to haunt him at the 30 minute mark. A shove on Oakley in the box awarded a penalty to the home side and a second yellow above Harvie’s head. Ayr were down to 10 men and Polworth placed the ball on the spot to extend the advantage.Fans stood on their feet expecting the ball to bulge but the shot was wide of the target. Perhaps it wasn’t the side’s day as ten minutes later, Nathan Austin received the ball, through on goal but also failed to capitalise.